This HP 11 magenta ink print head is designed for various types of HP inkjet printers. It allows you to achieve perfect quality colour printing with a yield of up to 16,000 A4 prints. A complete list of compatible printers is available here . For shipping to other EU countries visit this page HP C4812A No. 11. Chcete doručit zboží do Česka? 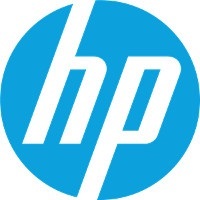 Prohlédněte si HP C4812A č. 11. Chcete doručiť tovar na Slovensko? Prezrite si HP C4812A č. 11. Für Versand nach Österreich, besuchen Sie bitte HP C4812A Nr. 11. Magyarországra történő kiszállításért tekintse meg ezt a termékoldalt: HP C4812A 11-es .